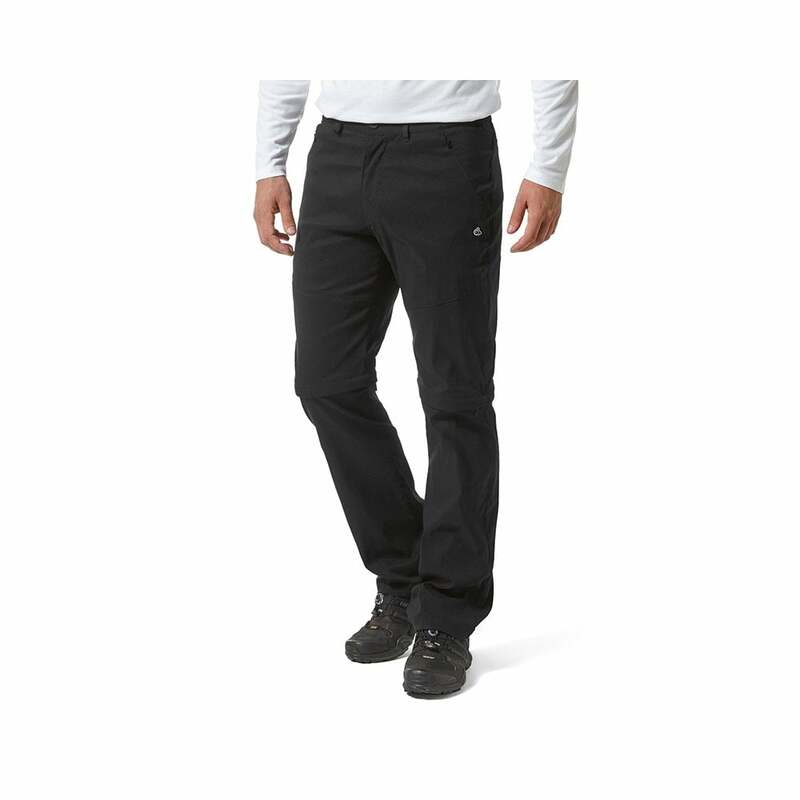 Crag Hoppers Kiwi Pro II Convertible Trousers made from a hard wearing polyamide and elastane these trousers offers enhanced freedom of movement. They are water repellent and have sun protection incorporated in them. They transform for long leg to short leg in a blink of an eye.